No one likes to waste time, so why wait weeks for an appointment with a shredding company? When you call A1 DATASHRED for your document destruction needs, you get secure on-site shredding as soon as the next day. Plus, we’re available when you need us, Monday through Friday. Making an appointment for document destruction is as simple as picking up the phone. Our helpful staff will answer all of your questions and help you choose the right service for your needs. Then, we’ll give you a reliable quote that will give you all the costs up front. Then just choose a day for your appointment. We’re available as soon as tomorrow, five days a week. Carrying heavy paperwork is a hassle, and there’s always the risk that something will fall into the wrong hands or worse yet let them just sit in some store for an unknown amount of time not knowing who will have access to them. Don’t take the chance. Instead, choose our on-site shredding service where we come to your Bolton MA location. We will place your paperwork into bins and we lock the bin immediately afterward. The locked bin is placed into the truck and the automated shredding system takes over. You can watch every step on specialty monitors on the side of the truck. There’s no question that your confidential papers are completely destroyed! One-Time Shredding – Our shred-on-demand service is perfect for businesses that don’t need confidential paperwork shredded that often. If you need a single purge, or you don’t generate private information often enough for a regular appointment, you can simply call us when you need us. We’ll work with your schedule and destroy your documents at your business location or any location you store your business records. Scheduled Shredding – Half of all documents that businesses produce have private information on them that legally must be shredded. Don’t take chances – shred any papers that might be private in any way. We will provide locked containers for free that can be placed around your office. You can schedule our service to shred on-site weekly, bi-weekly, or monthly. Keep your business secure with ongoing scheduled shredding services. Residents often don’t realize how vulnerable they are when throwing papers in the garbage. Identify theft is on the rise, and the paperwork that you throw away is a gold mine for thieves. Keep your private information safe by scheduling our residential shredding services at your home. We’ll come to you whenever you’re available. It’s convenient, secure, and will provide peace of mind. For a savvy thief, an erased hard drive is no obstacle at all. They restore the information and steal your private data for their own purposes. You deserve true security through on-site hard drive destruction. We can come to your home or business and securely destroy your hard drive so that your data will never be accessible to anyone again. When we arrive at your home or business, you won’t have any doubt about who is there to serve you. All of our employees wear uniforms and have photo IDs. These well-trained workers undergo background checks and ongoing drug testing, as well as sign confidentiality agreements. We take care of your shredding so you can have complete peace of mind. Not every athlete trains enough to become an Olympian, and not every document shredding company works hard enough to truly earn your trust.  We’re proud to be AAA certified by The National Association of Information Destruction (NAID). This designation means that we exceed the highest standards of quality and security and are audited regularly to make sure we maintain our performance. When you choose A1 DATASHRED you’re choosing the best. We all want to make a difference for the environment, and shredding may seem wasteful. Not with A1 DATASHRED. We recycle all of our shredded paper. In fact, one ton of shredding saves 17 trees. We’re happy to do our part to help the planet. Choosing a1 DATASHRED means you’ll have zero landfill impact. If you’re ready to protect your privacy with on-site shredding, give us a call. We look forward to serving you!